Geocaching is an outdoor treasure-hunting game in which the participants use a Global Positioning System (GPS) receiver or other navigational techniques to hide and seek containers (called "geocaches" or "caches") anywhere in the world. A typical cache is a small waterproof container containing a logbook and "treasure," usually toys or trinkets of little value. Today, well over 790,000 geocaches are registered on various websites devoted to the pastime. Geocaches are currently placed in over 100 countries around the world and on all seven continents, including Antarctica. 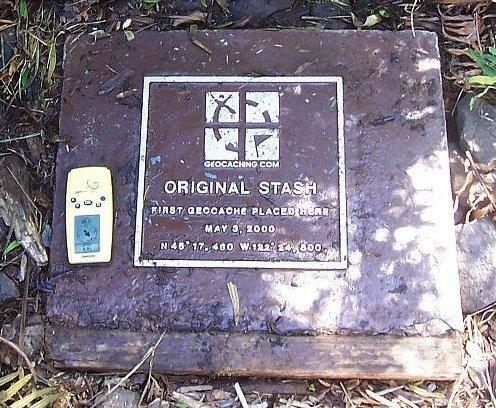 Geocaching was created shortly after the removal of Selective Availability from GPS on May 1, 2000 because the improved accuracy of the system allowed for a small container to be specifically placed and located. 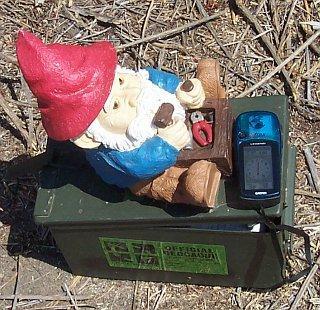 The first documented placement of a GPS-located cache took place on May 3, 2000, by Dave Ulmer of Beavercreek, Oregon. The location was posted on the Usenet newsgroup sci.geo.satellite-nav. By May 6, 2000, it had been found twice and logged one time. Here I look for my 500th cache on Sycuan Peak. Then there are the dangers involved in this sport.